Bitcoin History Part 5: A Wild Altcoin appears the first altcoin to emerge following bitcoin wasn’t litecoin, peercoin or dash. 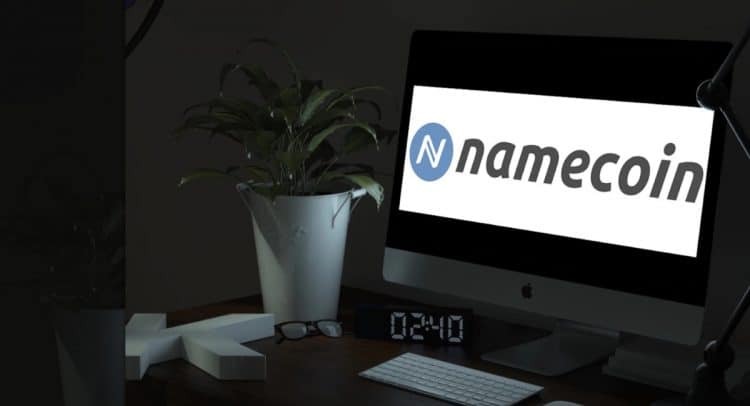 Rather, it was a now obscure cryptocurrency called namecoin (NMC). It was unveiled on the Bitcointalk forum on April 18, 2011, with a mandate that read quite differently from that of BTC. Curiously, but perhaps not surprisingly, the inspiration for Namecoin came from Satoshi himself, though he had no hand in its development. 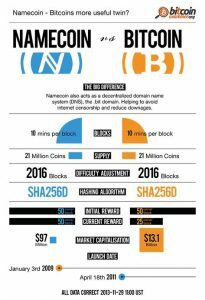 Four months earlier, Bitcoin’s creator had essentially conceived the idea of Namecoin, writing, in a thread titled “BitDNS and Generalizing Bitcoin,” “While you are generating bitcoins, why not also get free domain names for the same work? If you currently generate 50 BTC per week, now you could get 50 BTC and some domain names too.” Satoshi went on to explain a technical proposal involving merkle trees that would eventually form the basis for Namecoin.